#log local0. 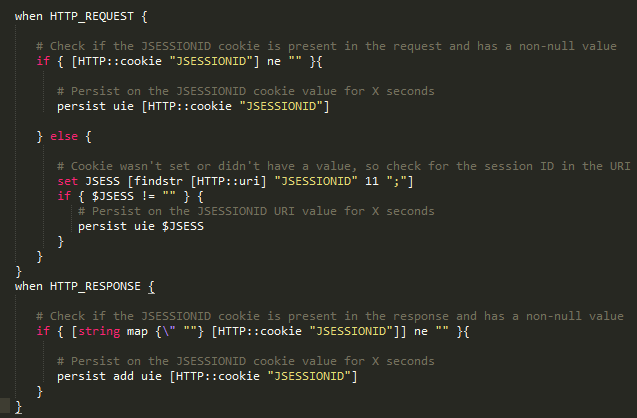 "JSessionID in Response: [HTTP::cookie "JSESSIONID"]"
#log local0. "Set-Cookie: [HTTP::header values Set-Cookie]"
Please, note that for any persistence that involves the header of the incoming packet, we would have to terminate the SSL Certificate & Key on the F5 in order to enable it to read & manipulate the encrypted header.